Now that the Saudi government has admitted to its role in Jamal Khashoggi’s death, the US must hold the murderous regime accountable. Khashoggi envisioned the launch of a transformative platform for Arab voices. “We suffer from poverty, mismanagement and poor education. Through the creation of an independent international forum, isolated from the influence of nationalist governments spreading hate through propaganda, ordinary people in the Arab world would be able to address the structural problems their societies face,” he wrote. The truth is that Khashoggi — who was living in the US as a permanent resident — was already free from the influence of his repressive home government and that is what cost him his life. On Friday, the Saudi government finally owned up to what many had presumed: that Khashoggi, 59, was killed at the hands of a regime that silences critics by slaying them. 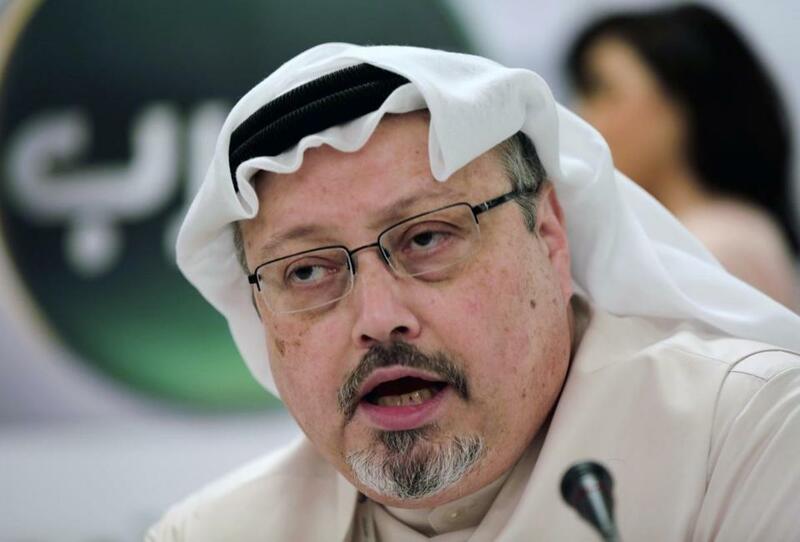 Without a robust free press in the Arab world, amid varying accounts we may never know what really happened Oct. 2 inside a consulate in Turkey, where Khashoggi drew his last breath reportedly tortured and beheaded at the hands of Saudi agents. What we do know is this: that the United States cannot stand idly by after the gruesome murder of a US resident and journalist who served as a beacon in a closed society. The United States must act like the leader of the free world it once called itself. So far it hasn’t. Khashoggi knew better than most what must be laid at the altar of the free press. His self-imposed exile allowed him to remain a persistent critic of the ruling Saud royal family and the new king-in-waiting, Crown Prince Mohammed bin Salman. Salman has risen through the ranks of power and fame aided by his uncanny ability to stroke “the American establishment’s erogenous zones,” as one observer put it. Nicknamed “M.B.S.,” Salman cast himself as a reformer and far, far too many Western observers didn’t realize they had a hook through the cheek until they felt the barb. Khashoggi wasn’t fooled. Dissidents, who’ve seen the devil up close, rarely are. According to reports, Khashoggi had been wary of the crown prince trying to lure him back to Saudi Arabia to answer for his criticism of the monarch. The Saudis caught him in the end. After a series of initial denials, which were dutifully amplified by an obsequious President Trump, the House of Saud finally admitted that Khashoggi did not leave the consulate alive. Turkish officials have told any media outlet willing to listen that Khashoggi was beheaded and dismembered. The officials have also named 15 Saudi suspects, including several connected to Salman. CIA officials, The Washington Post reports, have heard an audio recording of the killing. Perhaps Trump and his son-in-law (and M.B.S. BFF) Jared Kushner should give it a listen. Were Trump to do so, maybe he wouldn’t say with such high zest to his ardent followers that it’s worth protecting the Saudis so the United States can sell them a few more guns. If the president continues arms sales, Congress should halt them and go further. Last week, Congressman Jim McGovern introduced bipartisan legislation to hold Saudi Arabia accountable. With the Saudi government’s admission that Khashoggi was killed in its consulate, McGovern plans to introduce tougher legislation on Tuesday that would outright ban all Saudi arms sales and military aid. Delivering a firmer kick than sanctions alone, withholding direct military support to the Saudis would also ground their disastrous war in Yemen to a halt. A United Nations investigation is another logical step. If the president refuses to call for on an international investigation, Congress should insist on one. There’s already bipartisan revulsion at Riyadh. “Saudi Arabia, if you’re listening, there’s a lot of good people you can choose, but M.B.S. has tainted your country,” said Republican Senator Lindsey Graham. Democratic Congressman Adam Schiff called the murder a “relationship-altering event” for the two nations. Khashoggi’s dramatic death is reminiscent of what happened in 1978 to Georgi Markov as he waited at a London bus stop en route to his job at the BBC. He suddenly felt a sharp pain in the back of his right thigh. Three days later, Markov, who’d made a career of criticizing the communist government in Bulgaria on Radio Free Europe, was dead. The cause of death was the poison that had been shot into his leg with an umbrella gun. After the murder, 15 KGB agents were given medals for their involvement in the “Markov Affair,” as the tabloids dubbed it. But killing dissidents doesn’t kill dissent. That’s a lesson all dictators eventually learn. A decade later, the murderous communist government in Bulgaria toppled along with the other Soviet Socialist Republics. For Trump, who proposed slashing the budget of Radio Free Europe, the Khashoggi affair has become one of the most fraught of his short presidency. While he flippantly whips up his base with denunciations of the press as “enemies of the people,” he appears unable to look at (or listen to) what happens when villains take him both seriously and literally. Why were Markov and Khashoggi worth the time of 15-man hit squads and international opprobrium? Because tyrants know their weaknesses. They fear those who speak the truth to the powerful in a free press as mortal threats, enemies even, because they are. They know that the ashbin of history is always held open for the world’s most odious regimes.